The first trailer for Aquaman is out in time for Comic-Con. We have James Wan directing Jason Momoa, introduced in the Justice League film, as the half-Atlantean Arthur Curry who doesn’t want to become the King of Atlantis. Amber Heard is back as Mera, the warrior and occasional words of wisdom in Aquaman’s life. Watching the trailer gives the suggestion that Ocean Master, Aquaman’s half-brother, will be the main villain. He’s played by Patrick Wilson, and in the comics can manipulate the weather with his trident, have telepathic and mind control communications with aquatic life and the whole dose of Atlantean superhuman strength, speed and stamina. Yahya Abdul-Mateen II plays Black Manta. 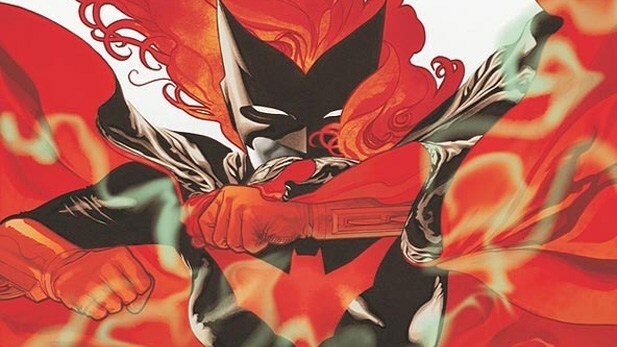 He’s also got enhanced strength, speed and stamina and his suit gives him the ability to breathe underwater and, as the eyes suggest, armour loaded up with the ability to deliver an optic blast. 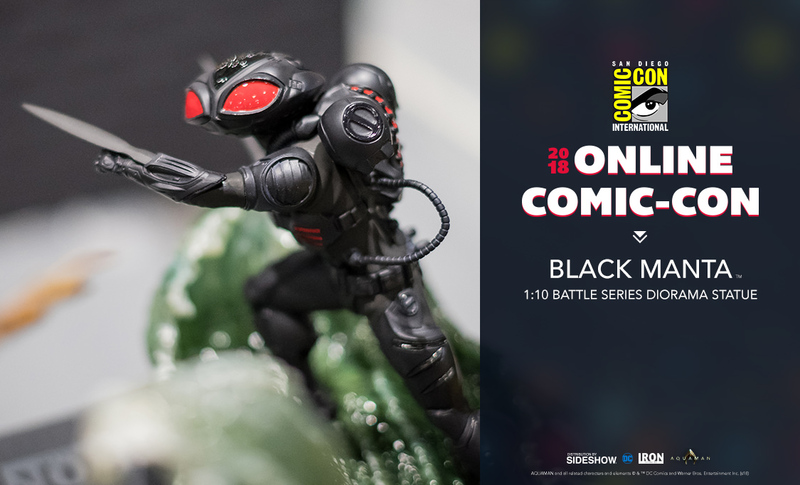 Sideshow are at SDCC too and they’ve just announced this Iron Studios Black Manta 1:10 Battle Diorama Series Statue.